The term ‘voluntary’ signifies willingly or doing something when guided by their own free will. The concept of Voluntary Provident Fund (VPF) draws on this, wherein the subscriber willingly contributes up-to 100% of their basic salary and dearness allowance into their respective Employee Provident Fund (EPF), instead of the usual 12%. The reservoir for such funds is the concerned employee’s EPF account, meaning, any activity concerning the employee’s VPF will impact the EPF portfolio too, and vice versa. For the financial year 2014-15, the VPF account doles out an interest rate of 8.75% on the accumulated funds. Let’s understand why investing in VPF is such a good tax saving investment option. The Provident Fund Schemes are considered to be a debt oriented investment option and hence, it bears a fixed rate of interest, i.e. the returns are guaranteed. Also, the funds are managed by the Government of India which scales down the risk of default in repayment to zero. The saving towards the VPF is not mandatory and the employee can determine his/her contribution towards such scheme. On the other hand, the contribution can also go up to a maximum of 100% of the employee’s salary (Basic + DA). The contributionis deductible up to a maximum of ₹ 1.5 Lakhs per annum under section 80C. The interestreceived is exempted up to 9.50% under the Income Tax Act, 1961. The proceeds of VPFupon maturity are tax-free. The rate of interest is high as compared to the other debt oriented investment options. It has always been easy to register for VPF just by intimating your employer in a basic KYC form with the amount of deduction for VPF from salary and your EPF account can then serve as your new VPF account. Contributing to VPF is a long-term investment scheme which qualifies it to be a good retirement saving plan and a potential pension fund. The investment in VPF doesn’t get affected with the change in the employer as every employee is assigned a UAN (Unique Account Number) liked with the EPF Account by the government. The VPF scheme comes with an option to avail loan for various purposes such as child’s education, child’s marriage, home loan repayment, etc. Investment planning should always be done at the beginning of the FY to effectively achieve your savings goals. If you need any assistance in planning your taxes and e-filing your tax returns, the tax experts at H&R Block will be happy to help you. The voluntary provident fund scheme is an extension of the Employee Provident Fund (EPF) wherein the applicants can invest above the 12% contribution factor that applies to their traditional EPF accounts. The voluntary PF option applies exclusively to salaried individuals who receive their monthly pay through a designated salary account. People working in the unorganized sectors including non-salaried employees can open a PPF (Public Provident Fund) account at a local bank or post office. 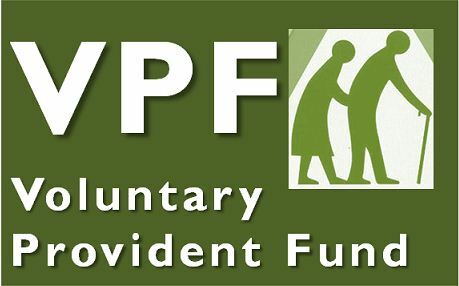 As mentioned earlier, the VPF account is the subset of the Employee Provident Fund (EPF) account and can be applied for by simply forwarding a request to the concerned company’s payroll/finance/HR team. The application form is a basic collection of employee information that directs the concerned payroll team to deduct a specified percentage of monies from the employee’s basic monthly salary as VPF contribution. Certificate of Business Registration (Form 9 & Form D). If company is an ‘Sdn Bhd’- Memorandum and Articles of Association. Other documents as and when required. The fund allows partial withdrawals as loans with also the possibility of complete withdrawals. If the withdrawal happens before the 5-year minimum tenure, then tax will be applicable on the accumulated maturity amount. Once the employee resigns or retires from the employment the final maturity amount is paid to him. At the time of the untimely death of the account holder, the nominee can get the possession of the accumulated fund in the VPF account. Medical treatments involving the account holder and/or his/her family members. For the construction/purchase of house/plot of land. Kindly note that terminating your voluntary PF account before said account has completed 5 years of existence will lead to tax deductions on the accumulated funds. In order to withdraw the funds accumulated in his/her VPF account, the applicant must raise a request in #Form-31# through his/her employer. Form-31 (Application for Advance from the EPF Fund) can be downloaded from the Employees’ Provident Fund Organization of India website. The document includes details about the employee, including full postal address, EPF account number, bank account details where the money will be credited, etc. The document must be properly attested by the concerned employer.